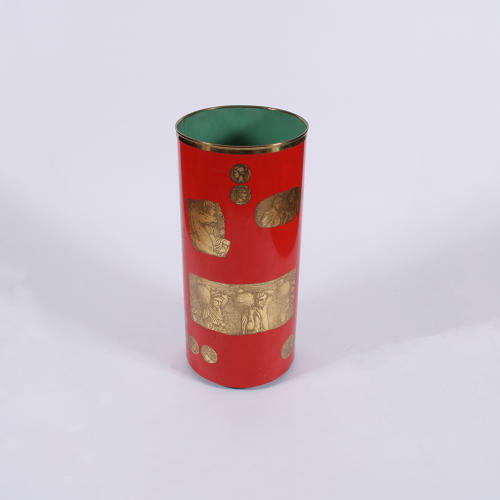 This is a stunning umbrella stand designed by Felice Galbiati Arte Decorativa, Milano (Italy), with a vibrant red background and gold decoupage style embellishment. With a contrasting green interior, with a removable drip pan. Brass trim around the top and maker's stamp on the base.